The Universidad Autónoma de Madrid (UAM) has launched the second international call for proposals of InterTalentum. 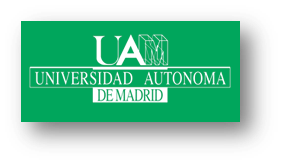 Through this call, UAM offers nine postdoctoral positions of two years duration for experienced researchers of any nationality. - Social Sciences, Legal Sciences and Humanities. - Candidates must be in possession of a doctoral degree or have at least four years of full-time equivalent research experience. - Candidates must comply with the mobility rule: at the time of recruitment researchers must not have resided or carried out their main activity (work, studies, etc.) in Spain for more than 12 months in the 3 years immediately prior to the time of recruitment. Submission deadline: 25/05/2018 17:00 - Europe/Brussels. More information about the submission procedure and the hosting centers can be found at "Downloads" Section. After a long and rigorous evaluation process, the 102 candidates have been informed about the outcome of their proposals.